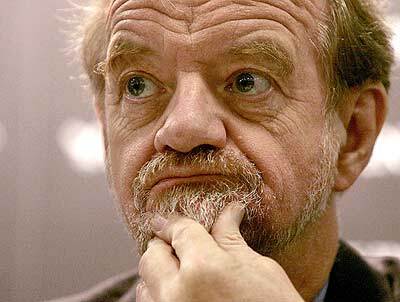 UNCOOL: Anthony Worrall Thompson. Chef. Butterz Man. Kleptomaniac | Everything is cool. I stop for a moment and turn on the radio by the side of my bed; that’s when I hear the news. My ears burn and my teeth begin to chatter. Something terrible has happened, something beyond all comprehension. The roly-poly man with heavy breathing who I so adore, obviously still reeling from the outrageous success of the ‘Snicker Pie’ that brought him such immeasurable praise from The Food Commission, has done himself a rather public mischief. Poor AWT. ethical, decent, high street brand; a lovely little business that we have all grown to love over the years. It obviously wasn’t enough that he had bewitched me with his sensational charisma, or that he fronted the unmissable ‘Saturday Cooks!’ No, he had to go and do this, ruining everything, filling plastic bags at the self service with his own petty desires, his most basic needs, not caring for a moment what it might have meant for the gorgeous staff at Henley-on-Thames Tesco. Now I’m still here in my bedroom, it’s several hours later and I’m trying to make sense of it all. The bottle of absinthe is nearly drained, my tears have run dry and my voice is hoarse from shouting into the inky night. Woz has assured us that he is ‘not a kleptomaniac’ thank God, and has of course apologised, but is it enough? What kind of message does this send to the billions of children out there who literally hang on his every word? It sends a bad one. So what next? Well that’s obvious, surely. He does what all celebrities do; he pretends to go into therapy and he makes sure that this never happens again. Here are my three handy tips that will ensure that in the future, Anthony Worral Thompson never gets caught stealing. Perhaps he might like to print them off, cut them out and glue them onto his enormous fridge. 1) Wear a huge mac and sunglasses as a disguise. The right mackintosh will fit in a great many bottles of Merlot and several knobs of butter given the chance. 2) Write to your local MP. Politicians love a good cause and are all too aware of the problems that arise from making do with less money than they believe they deserve. Put across a strong case and they will surely flock to your cause. How can they not relate? After all, you are Anthony Worral Thompson, why should you pay for your wine and cheese? ← Is Azealia Banks 212 Ft.LAZY the best tune of 2012 so far?